Finally, the long-awaited Netlink Trust's IPO is more or less confirmed and its launch is just around the corner. Netlink Trust is the broadband arm of Singtel, as part of the infocomm regulator requirements, Singtel is forced to divest itself of more than 75 per cent of NetLink Trust before April next year. NetLink will use a portion of the IPO proceeds to buy Singtel’s broadband assets, with up to S$1.4 billion paid in cash and it will use 966 million units for the remainder of the amount due. NetLink will use another 40 percent of proceeds to repay a S$1.1 billion loan owed to Singtel. 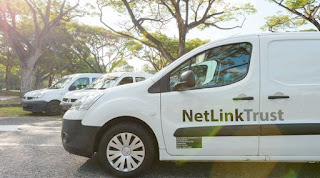 NetLink Trust designs, builds, owns and operates the passive infrastructure for Singapore's Next Generation Nationwide Broadband Network (NextGen NBN), over which ultra-high-speed internet access is delivered throughout the island. With this network, NetLink Trust is able to sell wholesale dark fibre services to Nucleus Connect, a StarHub subsidiary. Nucleus Connect manages the active infrastructure like switches and routers, and sells bandwidth connectivity to retail service providers (including Singtel, StarHub, M1 and MyRepublic) who sell the bandwidth with value-added services to end-users. I am rather excited about this upcoming IPO for 2-folds, one is that I am expecting it to be sizzling hot and hopefully I am lucky enough to be part of it; secondly, I am vested with Singtel and hopefully there are some "by the way" good news from Singtel after the IPO (in the form of special dividend, for example). What about you? Will you be interested in trying your luck on this IPO?